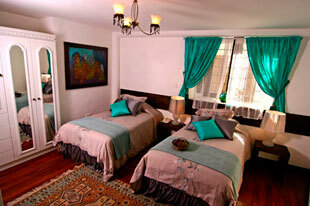 The Andean Wings Hotel it's an old house, that has more than 350 years. There are building one of the most popular solar spanish colonization in the ages XVI, belonged to Pedro López de Cazalla, whiched owned the neightborign solar, know as "The house of six pumas". Years later, in the ages XVII, family Salas ad Valdez, became the principal owners of the home. After the 1950 quake,the house had some damages to its infraestructure, which was remodeled by the new owners. 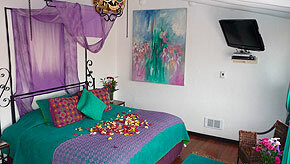 Hotel Andean Wings has 16 rooms with own style, with feature cable LCD TV, Minibar, WIFI connection, security box. Breakfast is included. It is the only room that combines the old with the new. Ideal for sharing with best friends. The walls combined with a colonial sun in gold give a unique glow. Hardwood floors and a touch bedspreads picturesque. It is characterized by a beautiful light, which was inspired by the colonial era. 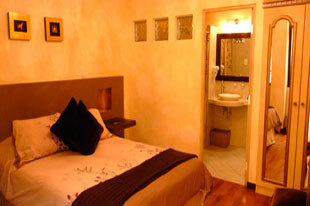 The colors are soft, cream color predominates complete with a flower bath in modern Jacuzzi. 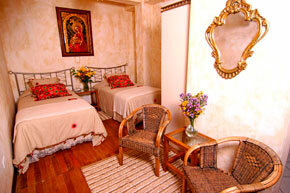 This bedroom is characterized by its cozy elegance.